Dark metalic grey with striped cloth trim. 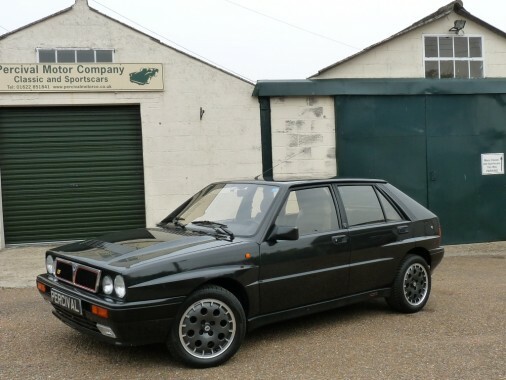 This rather nice, unmolested Integrale 16V came in to the UK from Germany in 1997. It has had two owners since, the last one since 2003. It is in standard specification except for an uprated exhaust although the original one is supplied with the car. It comes with power steering, electric windows and mirrors, a factory sunroof, a C.D. player and its original alloy wheels. There is a very good history file and the original handbooks and dealer pack are present. We are currently re-commissioning the car including fitting new belts.